When you bring a pet into your life, one of the first things to do is to look for a good vet who will ensure better health for your pets and peace of mind for you. But finding a stellar one can be tricky. We talked to a few pet-owners in the city and asked them who they would trust with their furry friends. Cool cat Potol has been with Antara for five years now, since a few weeks from her birth. While the missy is all grown up now and loves her hooman for a scratch and a pet, Antara dotes on Potol and is particular about her diet and health. Frequently referred to as one of the best pet clinics in the city, Moitri’s Dr Sourav Banerjee is the one Antara trusts for Potol’s vaccination and check ups. Dr Banerjee is in fact strongly recommended by many other pet owners and is known to take care both of cats and of dogs. Most importantly, he is a qualified surgeon who has helped recover several pets in the city. Though the wait will be long, you’ll get his best care for your pawper on all days except Friday. Dexter was cuddly gift Priyanjali received from her boyfriend some 4 years ago. Now a full grown golden retriever, Dexter is her best chum whom she can’t stay away for long. A happy and active retriever, Priyanjali takes him for grooming (nail and other clean ups) every month, and goes for a doc check up every three months. An veteran doc who has been taking care of dogs for years now, Dr T K Samanta is a name to reckon with for consultations. Anoushka has three little adorable pawsome friends. Furrow is three, Alice is two and Bandit is just one! While the little guy (Dexter) tries to get heavy on the other two girls, together they are a pack of naughty little munchkins. 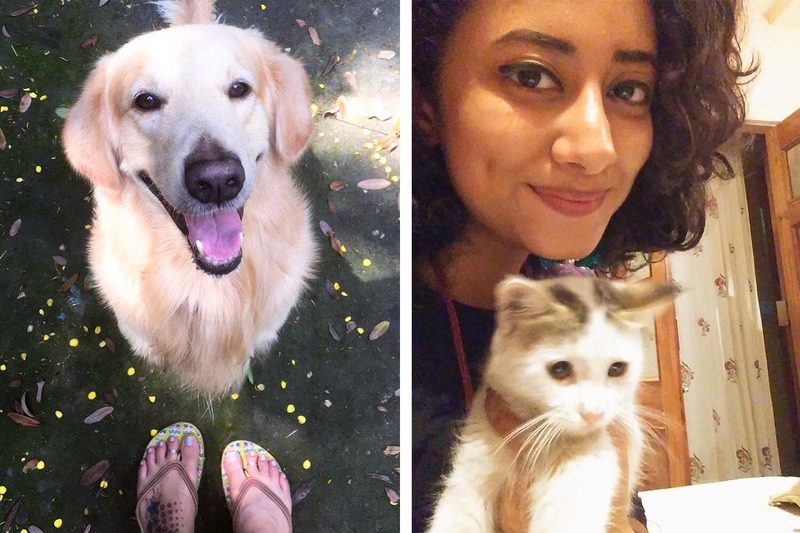 Adorable and cuddly, Anoushka is also a responsible pet owner who takes good care of her cats. All of them have been neutered and regular check ups and yearly vaccinations are always in order. She recommends another veteran doctor, Dr Dipak Dey of Calcutta Canine Clinic when it comes to pet care. Both a vet and a surgeon, Dr Dipak Dey is available on all days at the clinic, though appointments have to be taken before visit. It’s been eight years now that Tanisha got Muffin as a gift from her dad. Today Muffin, a Tibetan mastiff, is bigger than her in size, but still loves to play or be fed by her. Even though Muffin is quiet old now, Tanisha ensuresshe gets enough activity throughout the day to keep fit and is fed healthy food. Besides the regular vaccinations and deworming schedules, Tanisha takes her pet for grooming once every one and a half month and for check up every few months. She recommends Dr Aparajita Chakraborty of APC Pet’s Clinic for check ups and pet care. With the clinic in Southern Avenue, Dr Chakraborty is available for visit with appointment.